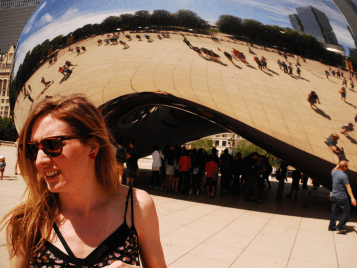 We all want better places to work, play and live. To turn our spaces in to places; environments that mean something to all those who experience them. The Fly Forbo competition has been established to recognise outstanding use of Forbo's extensive portfolio and projects which truly create better environments. Take a look at all of the winning projects from our Fly Forbo competition throughout the years as well as the highly commended projects. designed by architects Nicoll Russell Studios. 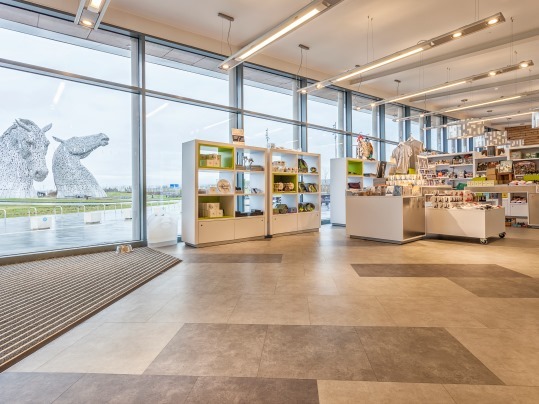 Using Forbo Flooring Systems’ Allura Stone range to create a pattern which is designed to be reminiscent of the panels on the Kelpies and also have a connection with the granite colours on the external plaza area. The architects were able to create a welcoming interior, while reflecting the abstract designs of the world’s largest equine sculptures – which helped the project win the 2016 Fly Forbo competition. 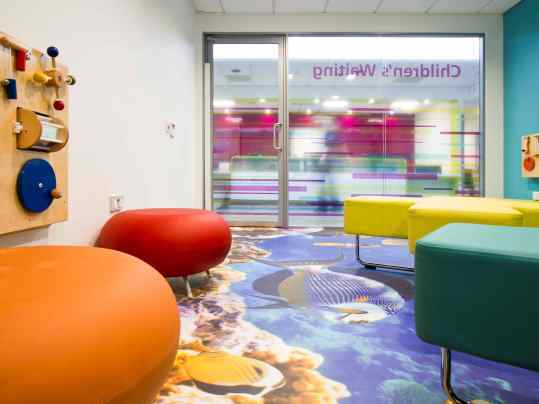 The patients and staff of Chorley Hospital’s Urgent Care Centre can view the colourful life of the ocean’s coral beds, thanks to Forbo Flooring Systems’ digitally printed vinyl floor covering. 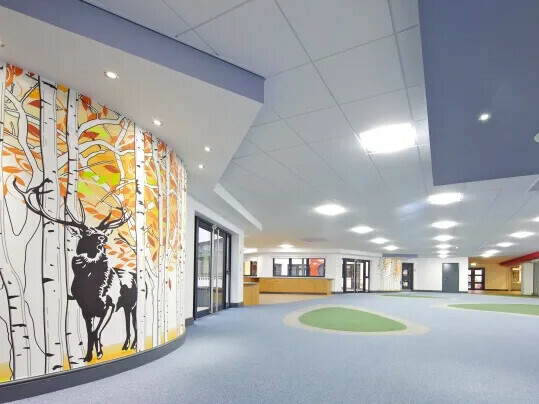 This unique flooring design helped the interior designer at Frank Whittle Partnership win a Highly Commended award in the Fly Forbo 2015/2016 competition. When Cummins Generator Technologies moved its global headquarters to a new location in Peterborough, they called upon James Cubitt & Partners architects to transform the empty and dated premises into a lively and productive office environment for its employees. 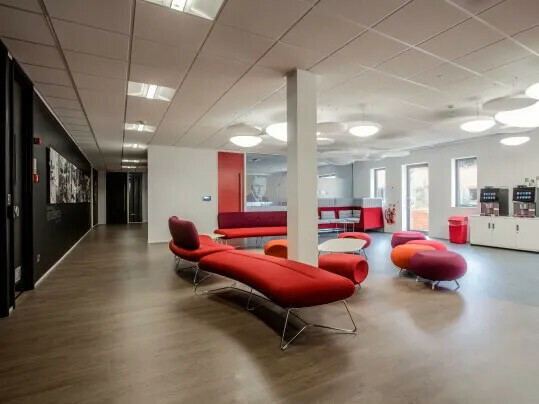 By installing a wide range of Forbo Flooring Systems’ products, James Cubitt & Partners was able to reflect the company’s heritage, whilst producing a thoroughly modern and invigorating working environment for its employees – which helped the project win the 2014 Fly Forbo competition. Peacock Interiors in Dublin, Ireland, has created a symbiosis between two office floors at I.T. Alliance Group’s new premises, which won the Highly Commended prize in the 2014 Fly Forbo competition. 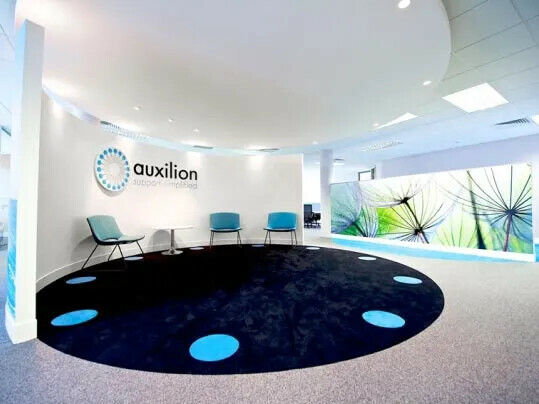 This was achieved by installing a mixture of Forbo Flooring Systems’ Tessera Teviot and Westbond carpet tiles in a striking pattern to reflect the company’s corporate colours and branding, whilst maintaining a fresh and contemporary space. 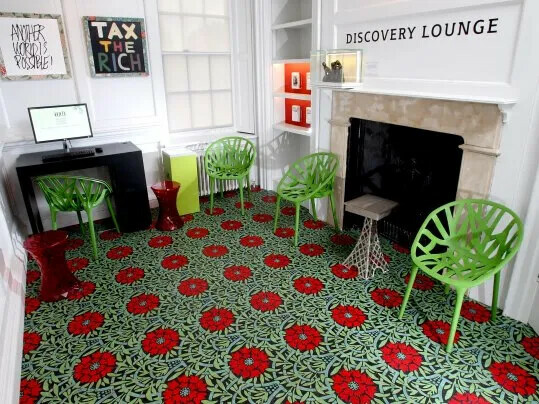 An original William Morris design has been recreated in Marmoleum, for the Discovery Lounge of the William Morris Gallery, in Walthamstow, which won the Fly Forbo 2012/2013 competition. The design was cut using Aquajet, Forbo's advanced water cutting technology, to re-create the intricate design, which dates back to 1875. The gallery, which has been awarded the Art Fund’s Museum of the Year, is housed in a Grade II* listed Georgian villa, Morris' childhood home, in Lloyd Park and is the only museum devoted to William Morris – an influential British designer, poet, craftsman and socialist activist of the nineteenth century. Forbo Flooring System’s impressive integrated product portfolio has helped 2020 Liverpool create a stimulating and inspiring environment - which has won the Highly Commended prize in the 2013 Fly Forbo competition - for the pupils at Croxteth Community Primary School, where the flooring has been used as a key design element. Martin Shutt, Architect at 2020 Liverpool, specified a variety of Forbo’s products: “The main design objective for the flooring was to bring the outdoor environment inside – merging the internal and external boundaries, as well as bringing an organic and natural feel to the space.